The many strengths of Urban Kitchens include a cutting-edge design on all your joinery needs and also keeping up with market trends. From soft closing drawers, to hand-less Designs, to more ergonomic concepts, electronic touch drawers which come to you as well as keeping up with modern trends from ranges of colours and textures from overseas influence. Our background in kitchen design, Joinery construction and customer liaising allows us to know how certain design concepts can be achieved. Our professional staff has made listening and understanding our customer their priority and are there to assist you in every way possible. We offer a Design and Consultation Service with colour advice as well as pricing for Stone, Acrylic Bench Tops, Glass Splash-backs and even appliances. All our products used are German, Italian and Australian Hardware and materials which are highly durable and built to last, with a 10 year guarantee. DESIGN OFFICE BY APPOINTMENT : Rear-435 WhitehorseRd, Balwyn. 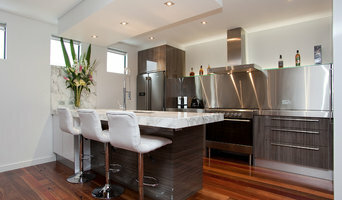 3103 The Designer Kitchens Victoria service provides the most comprehensive design service in Melbourne. Getting a good custom kitchen design for your space is not a simple or easy task. These days, most kitchen design is done by salespeople who are working under the constraints of modular construction and pressure sales. For a designed kitchen to truly match not only your space but also your lifestyle, habits and taste, full custom joinery designed by Certified Designers is the only solution. Good custom design will take into consideration not only your own unique lifestyle and design preference but also the ergonomic regard in design. Theo Sismanellis has been providing such service for his clients for almost 18 years. All clients who take up the design service receive recommendations on appliances, free measure and quote, detailed costings, and 3D kitchen drawings showing what the new kitchen will look like, situated in their home. 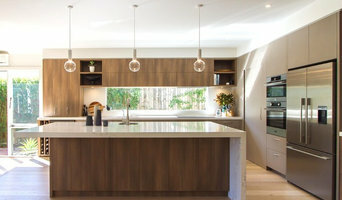 To arrange a design and quote or simply professional advice about your new renovation call Designer Kitchens Victoria and speak direct with the Certified Designer and owner Theo Sismanellis. Whether you are wanting to improve or renovate your home or prepare a property for sale, Creative Solutions provides a Designer outcome that takes care of your financial interests. We often start with kitchens – this is probably the most important part of the home whether you are making changes for your own living requirements or preparing a property for sale. This is the centre of the home. 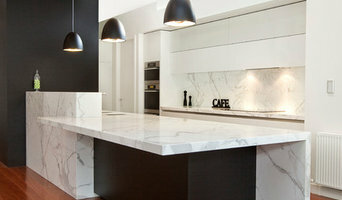 The team at Splendid Kitchens is dedicated to delivering innovative kitchen solutions to clients throughout Melbourne. From small to major kitchen renovations through to brand new kitchen designs, we are equipped to provide tailor made solutions for all kitchen needs. We understand that every person, every family has different needs and priorities which is why we work closely with our clients to ensure these are always met. We work with a selected range of suppliers, all of whom have the tick of approval from us, and all of whom utilise an extensive range of high quality products. We believe it is important to love every single aspect of your kitchen, from the design and style through to the products used, which is why we ensure our clients have a range of options available. From the very first meeting, through to the finalising of the project, we can assure you will be more than happy when you choose to work with us! It is our mission to provide our clients with innovative kitchen designs that are stylish and practical, kitchen designs that they will love for many years to come. For more information or to request a quote, don’t hesitate to get in touch with us today! At MJS we design, create, construct and install quality kitchens, bathrooms, laundries and more with unsurpassed attention to detail. We have a qualified team led by Matt, who has 17 years experience in the joinery & cabinet making industry. We work with you from the initial concept to final install and completion. All our kitchens are made in our own warehouse, from the highest quality materials. We can also do all the hard work for you and choose and install a variety of selections and appliances to match your new kitchen. We not only specilise in creating custom designed and made kitchens but we can accommodate all of your joinery needs in all other areas of the home, whether it be a vanity in a bathroom or laundry, wall unit or wardrobe. We can create an entire home full of custom storage solutions for you and your family. Established and managed by Cabinet Maker Jamie Moore, Briar Hill Cabinets is a family owned business that has more than 20 years experience in the design, manufacture and installation of cabinetry projects. The key to Briar Hill’s success has been the commitment to fully understand a client’s requirements, provide advice and design accordingly whilst working within the budgets set; Jamie is ‘hands on’ throughout the entire process and is always patient, friendly, professional and reliable. A timely and top quality outcome is the result where clients are fully satisfied. Although Briar Hill is best known for their exceptional work in building (as well as renovating) Kitchens, they can also build cabinets for Bathrooms, Laundries and create Wardrobe, Study, Book and Entertainment solutions. They work with Laminates, Timber, Vinyl Wrap and 2 Pack; any desired syle and finish can be produced. 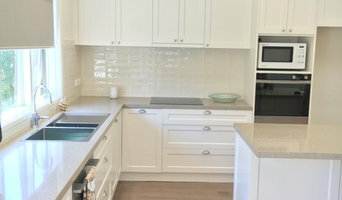 Kitchens Squared is an award winning Melbourne kitchen and bathroom design and manufacturer that can design and build a new kitchen or bathroom and install it in your home. We do complete Melbourne kitchen and bathroom renovations* on existing homes, whether your style is modern, contemporary or classic. *Kitchen and bathroom "renovations" are an existing kitchen or bathroom removal and a new kitchen or bathroom installed. Have your Melbourne kitchen or bathroom designed by our experienced designers, each with over 16 years in experience in Melbourne. Once the design is complete we will manufacture your new kitchen or bathroom in our factory in Melbourne, prepare the site which includes removing existing kitchen or bathroom and setting up for an the newly designed kitchen or bathroom, and then install your project through to completion. This will all be coordinated and completed by our professional, experienced and patient staff. All kitchens are manufactured & assembled direct in our factories in Australia with Australian made board. 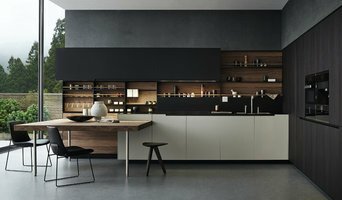 More Than a Kitchen – a Designer Kitchen Masterpiece Established in 2004, Touch Wood's vision has been to create luxurious, technologically advanced and unique kitchens specialising in the 'impossible'. We excel in creating something very few kitchen designers allow - complete customisation so architects and their clients can express their personality through extraordinary luxury kitchen designs. Perfect for those who know what they want but can't find it anywhere else. Crafted Entirely In-House Many of Touch Wood's structures require steelwork to make them safe and secure. With our own steel workshop, we do not need to outsource these fundamental components, guaranteeing you the highest quality product. This means that your design options are virtually limitless. The Toolmaker Chef We believe not only in traditional construction methods - methods that are tried and tested to be safe and secure – but also marrying these with the latest in cutting edge technology and state-of-the-art European designs. A toolmaker and engineer by trade but with a passion for, and experience in professional cooking, our lead designer embodies the perfect amalgamation of craftsmanship and creative high-end kitchen design. He creates stunning kitchens that are practical and full of features that make cooking and entertaining a breeze. We love the challenge of manifesting the ideas that others consider 'impossible' into a tangible reality. From cantilevering enormous free-hanging stone benches that seem to float in mid-air, to using cutting-edge European methods to perfectly align cabinets against the most uneven walls, we love the so-called 'difficult' job.